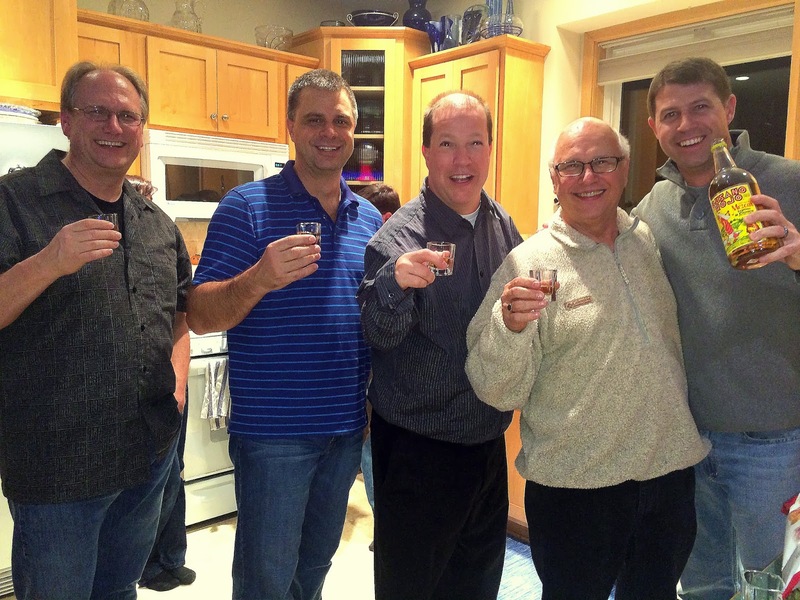 We celebrated the new year with our good friends, The Zitzewitz Family. 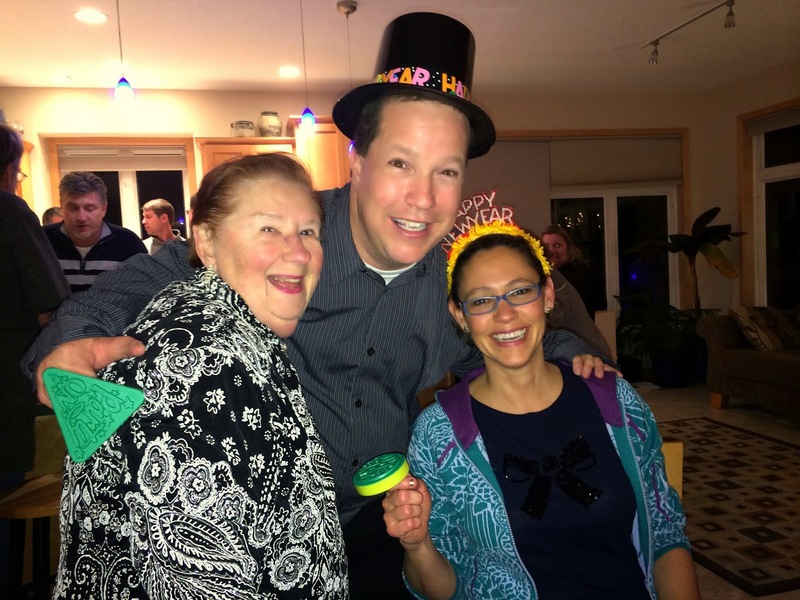 This is Tina and her mom and they were a bunch of fun with which to ring in 2014. We even made it to the Central time countdown to midnight this year rather than cheating and leaving after the countdown in Time Square an hour earlier like we did last year. Our stamina must be improving. Karl's dad brought along a bottle of Mezcal to the celebration. It tastes like Tequila if Tequila had been poured out, set on fire, and then put back in the bottle. There was even a worm at the bottom of the bottle which I was hoping to have a chance to eat because I hear they have mystical properties. However, after having one sip of this fire water I knew I was going to be of no help in getting that little guy close to the surface. So that worm is just going to have to wait for a different new year some time in the future. On Saturday night, we had dinner with our friends the Walters Family. The kids wanted to play charades after we done, even though I begged them to let us just play a card game so I could relax at the dinner table. The kids won. I'm glad the kids talked us into it, because it ended up being a lot of fun. Even though I didn't do very well, although I really don't think it was my faults. I mean how could me team not know I was doing "The Mighty Ducks" here? Dan did a great job telling his team that the character he was trying to portray had a mustache. Either that or I caught him smelling his fingers before his turn began. I really can't remember. Jen was an incredible competitor and impressed us all when she was able to flex her legs in just the right way so she could actually start levitating high above the ground. It's a skill I think she should find a use for outside of charades.